Gurdwara Tulamba ! 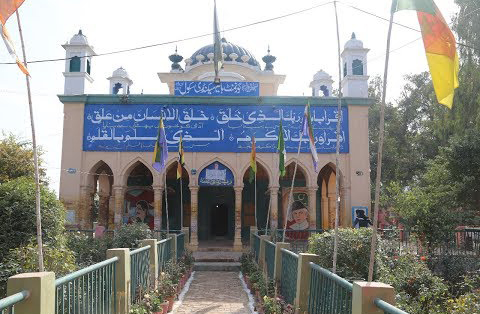 Baba Nanak Teaches Sajjan Thag in this Holy place Makhdumpur near khanewal ! A narrative tells that Guru Nanak set out from Pakpattan and reached a place near Tulamba where Sajjan Thug had set up a trap in the form of a caravan inn. He used to rob the travellers and made an attempt to trap Guru Nanak but failed. Guru Nanak created this Shabd here; Bronze is bright and shiny, but when it is rubbed, its blackness appears. Washing it, its impurity is not removed, even if it is washed a hundred times. Hearing this Shabd, Sajjan became a friend of Guru. Sajjan’s inn was converted into a Gurdwara to commemorate this event. Bhai Jodh Singh, disciple and Army General (Battle of Gurusar) of Sat Guru Har Gobind Ji was a resident of this village; this Gurdwara was built by one of his descendants in Samvat 1970. Following the partition in 1947, a new Gurdwara was set up in Panipat Haryana by his descendants (Bhayana Clan).